Zamania is a city and a municipal board in Ghazipur district in the Indian state of Uttar Pradesh. It is located on the banks of river Ganges. It is divided into two main towns, Zamania tehsil and Zamania Railway station. Zamania is a railway station on the main railway route between New Delhi and Patna. It is one of the most important town of Ghazipur, being parted from Ghazipur city by the River Ganges. A new bridge is under construction near Zamania over the Ganges. 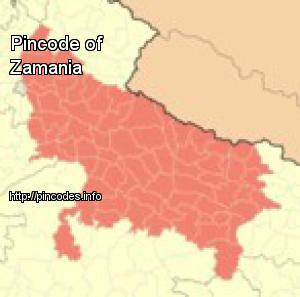 As of 2010 India census, zamania had a population of 25,831. Males constitute 58% of the population and females 42%. zamania has an average literacy rate of 53%, lower than the national average of 59.5%: male literacy is 69%, and female literacy is 48%. In zamania, 19% of the population is under 6 years of age. Zamania has two colleges, Hindu P.G. College, Rajkishor Singh Mahavidalya. The video of the controversial remark was reportedly shot at an event held at Satyadev College in Ghazipur's Gandhipuram. The incident took place while Constable Suresh Vats was returning from the venue of a public meeting addressed by Prime Minister Narendra Modi on Saturday.